WENATCHEE, WA- Beginning Monday, January 7, 2019, Wenatchee Valley Humane Society (WVHS) is changing its weekday hours of operation to implement a new ‘Quiet Time’ for the animals at the shelter. When the program launches Monday, the shelter will begin closing for an hour on weekdays, from 1:30-2:30 p.m. The new ‘Quiet Time’ will give animals at the shelter a much needed midday break. Currently, shelter animals begin their day at 6 a.m. and live in a constant state of stimulation, with approximately 12 hours of disruption, including: kennel cleaning, feeding time, medical checks, dog walking, behavior modification, socialization with volunteers, and potential adopters visiting. During ‘Quiet Time’ adoption halls will be closed to any activity with lights out and music off. Recent research presented at the ASPCA Learning Lab shows that pets in shelter and kennel environments benefit tremendously when they are allowed at least one hour of downtime during the day. The break helps calm the animal, reduces illnesses and helps overall demeanor. Shelter staff will also benefit from this change, utilizing the allocated time to take uninterrupted breaks, participating in meetings, trainings, and updating animal records. Davies says she also sees this time as a way to reduce the overall staff stress of handling constant, emergent situations. Animal Care and Control (ACC) can be reached during this ‘Quiet Time’ by phone at 509-662-9577, option 1, however the lobby is closed for licensing and other ACC-related business during this hour. Shelter hours of operation are 11 a.m.-6 p.m. (closed 1:30-2:30 p.m., beginning January 7, 2019), Monday through Friday and 11 a.m.-3 p.m. on Saturday and Sunday. The shelter is located at 1474 Wenatchee Ave., Wenatchee. WENATCHEE, WA- Wenatchee Valley Humane Society (WVHS) has added behavior and obedience programs to their list of resources. The programs are a tool used to help some of the more rambunctious and untrained dogs at the shelter. The goal is to reduce their length of stay at the shelter and increase their adoptability. All dogs entering the shelter are evaluated. 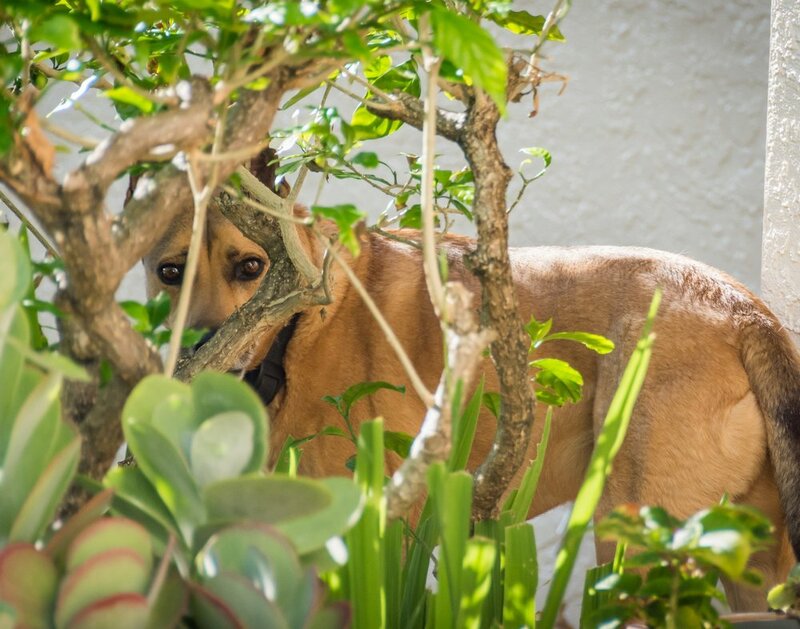 Those who show signs of treatable behavior issues are placed into either the Canine Good Citizen-Ready (CGC) program or the Total Obedience Program (TOP) Dog program. Both programs give dogs a second chance for a happy home through training, diligence, and one-on-one development. In the CGC program, WVHS staff and volunteers work with the selected shelter dogs to train them on specific good behavior skills, with a goal of mastering them. Mastering these behaviors prepares them for the American Kennel Club CGC Test and once ready, shelter dogs are tested on ten real-world scenarios. If they pass, they are labeled ‘CGC Ready.’ Adopters of these dogs will be briefed on their dog’s skill set and are encouraged to work with an independent CGC Evaluator for CGC certification testing. Dogs participating in the TOP dog program work on skills similar to the CGC-Ready Program but in addition to good behavior skills, TOP Dogs learn advanced skills specific to each dog’s needs. Adopters of TOP Dog participants have the opportunity to visit WVHS with their dog, where the owner can learn the training skills received during the program and earn a WVHS TOP Dog certificate. WENATCHEE- Join Wenatchee Valley Humane Society (WVHS) on Saturday, October 6, 2018, as it participates in the 7th Annual Statewide Shelter Open House, hosted by Pawsitive Alliance. WVHS will be joining over 25 shelters in every region of the state for this exciting event that gives shelters across Washington the opportunity to host an Open House and bring community members in as honored guests. “This year many of the shelters involved are choosing fun, new activities to get their community involved and to showcase their animals”, says Amy Ferguson, Executive Director of Pawsitive Alliance. WVHS will have great adoption specials for the event selected by a spin of the wheel, insightful observation of our dog play group, fun giveaways to new adopters thanks to PetSmart in East Wenatchee and, as a Hill’s Science Diet partner, will have sample food bags to send home with every adopted animal! It’s sure to be a fun day, so come visit the shelter and see what’s new and maybe find a new addition to your family! Pawsitive Alliance would like to thank their sponsors for this event: Martha Faulkner--RSVP Real Estate, Canine Behavior Center, Petcurean, Good Neighbor Vet, Pet Connection Magazine, and DML Insurance. 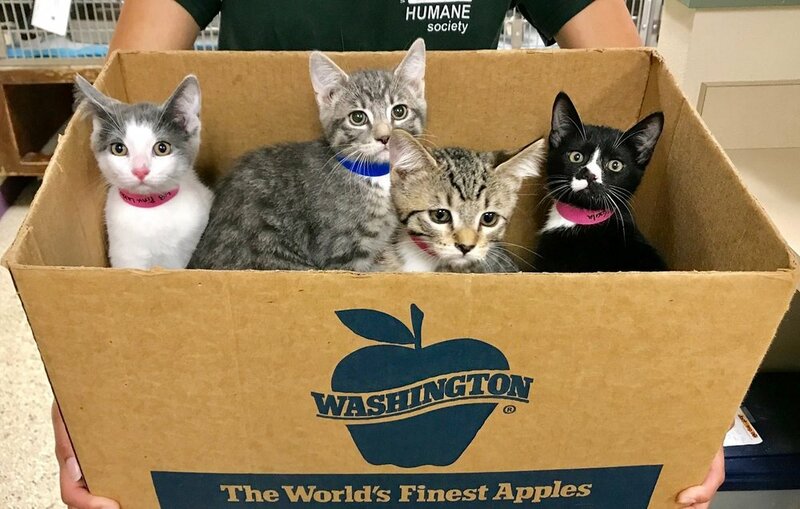 For more information on Washington State Shelter Open House, visit Pawsitive Alliance’s website, www.pawsitivealliance.org, or the Shelter Open House Facebook event page and follow #shelteropenhouse during the event for exciting shelter updates and heartwarming adoption stories. To take advantage of the adoption specials and fun, visit WVHS on Saturday, October 6, 2018 from 11-3 p.m. at Wenatchee Valley Humane, located at 1474 S. Wenatchee Ave. in Wenatchee. Pawsitive Alliance's mission is to help end the euthanasia of adoptable dogs and cats in Washington by increasing adoptions, supporting spay and neuter programs, and improving pet retention. To learn more about our life saving partnerships and programs visit www.pawsitivealliance.org. Since 2005, Pawsitive Alliance has helped more than 7,000 homeless pets find loving homes. Founded in 1967, the Wenatchee Valley Humane Society is a private non-profit organization with a mission is to serve the community through education, protection and pet adoptions. We continue our mission by caring for displaced pets, rescuing injured and lost animals, providing a low cost spay/neuter program, hosting a pet food assistance bank, offering a Pets for Life program, investigating cruelties and finding homes for the orphaned animals. If you would like to volunteer, donate, or more information on how you can help, email wvhs@wenatcheehumane.org or call (509) 662-9577. Wenatchee Valley Humane Society (WVHS) Executive Director, Dawn Davies, has joined other public and private animal welfare leaders throughout Washington State to launch Pet Alliance of Washington (PAW). The Coalition, who's mission is to increase lifesaving efforts of organizations within Washington State that provide care for stray, neglected and abused cats and dogs has also gained the help from Best Friends, a national organization with extensive experience improving animal outcomes. The coalition was founded after a group of animal welfare professionals from several regions in Washington State took notice of issues within the animal welfare industry and identified that many could benefit from a collaborative and regional approach, rather that attempting to solve the same issues on an individual level. Strategies implemented by the coalition are set to boost pet save rates and improve outcomes and includes mentoring Pet Alliance members on model programs, grant funding, and direct action. Other members of PAWS’s board includes recognized animal welfare leaders from Seattle Humane (SH), Humane Society for SW Washington (HSSW), Blue Mountain Humane Society, Kitsap Humane Society, Pasado’s Safe Haven, Northwest Spay and Neuter Center, Regional Animal Services of King County (RASKC), South County Cats, Spokane County Regional Animal Protection Service (SCRAPS), and Best Friends Animal Society (Best Friends). WENATCHEE, WA- Wenatchee Valley Humane Society (WVHS) is providing a low cost rabies vaccine clinic to furry friends of dog and cat owners on Wednesday, August 1, 2018 from 3-5 p.m. at WVHS. Space is limited and vaccinations are available on a first come, first served basis. Pet owners must be income qualified to be considered. Cost is just $10 per rabies vaccination for the first pet, and $5.00 for each one after. Adults 18 years and old, must accompany their pet to this clinic. Dogs must be on a leash and cats need to be transported in a carrier. For more information on how to participate in this clinic or how to donate, please visit www.wenatcheehumane.org or contact the shelter at 509-662-9577. WENATCHEE- Wenatchee Valley Humane Society (WVHS), proudly announces the addition of Dr. Kyla Krissek to the team. “I am proud of our community and our organization to have attracted the talented Dr. Krissek. She was my first choice of several candidates. 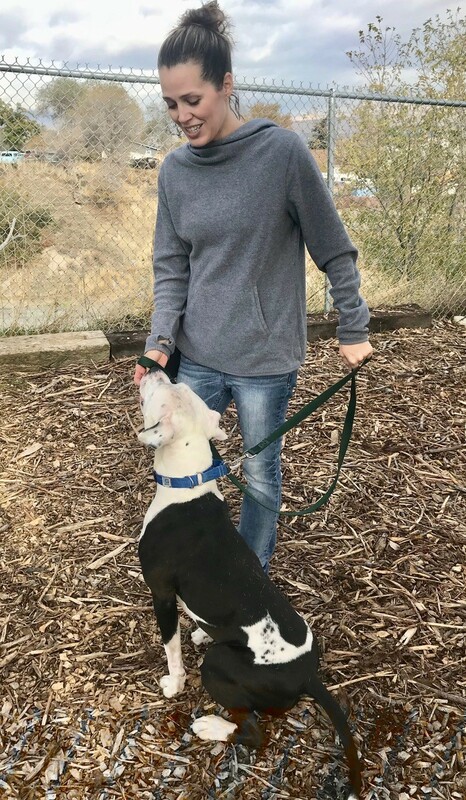 Her dedication and passion are a perfect fit to expand our services and quality for care for shelter animals,” said Dawn Davies, WVHS Executive Director. 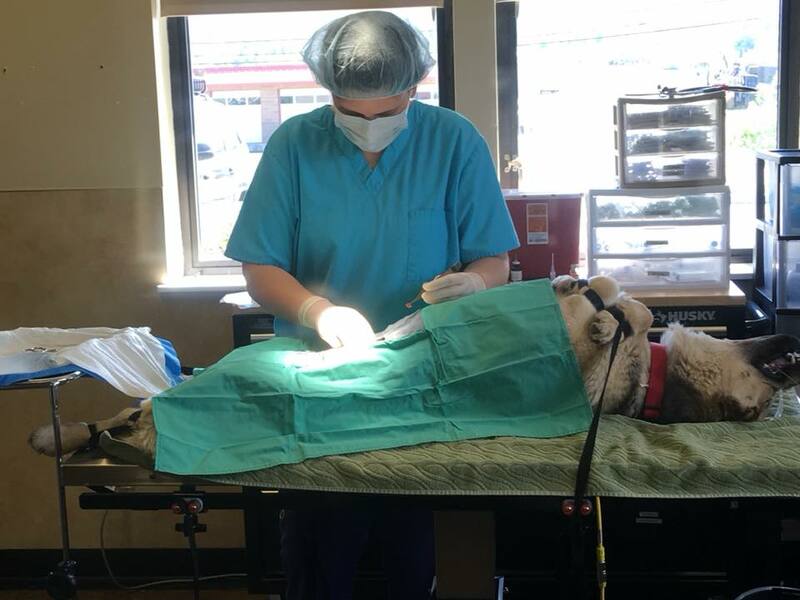 Since the addition of an in-house veterinarian position in July of last year, many of the day-to-day procedures, including dentals and alterations, are performed on-site. WVHS has seen an increase in turn around for spay/neuters surgeries, which means adopted animals can go home sooner. “It’s also allowed for us to expand our low cost spay/neuter clinic services,” explains Davies. “Having an on-site vet gives us the opportunity to serve income-qualified pet owners once a week rather than quarterly or putting any more burden onto our vet partners already busy schedules.” Still, WVHS relies heavily on the veterinarian community in our area for more complex surgeries or treatments. Krissek’s addition to WVHS comes as Dr. Brad Crauer returns to Kansas State as an Assistant Clinical Professor in Shelter Medicine. Prior to her appointment at WVHS, Krissek served as a shelter veterinarian at SPCA of Texas in Dallas. She’s a graduate of Kansas State and her interests include internal medicine and TNR (trap, neuter, return) programs. She first became interest in shelter medicine while working at a local shelter during her undergrad and, after graduation, completed a shelter medicine internship at Kansas State under Dr. Crauer. Krissek is a Kansas native, born and raised in Topeka and Wichita. Krissek has rescue dogs and a cat at home. As temperatures increase, Wenatchee Valley Animal Care and Control (ACC) is responding to an alarming number of reports of dogs left in hot cars. Numerous calls are received daily regarding this issue and, in some cases, dogs were removed from vehicles to prevent brain damage or death. With temperatures now well above the seventy degree mark, people should consider leaving their dogs at home. The interior of a car can quickly become an oven within minutes. Leaving windows cracked or down a few inches is insufficient and will only result in a two to three degree difference to the vehicle’s interior. “We all love the companionship of our dogs, and most dogs love to go for car rides. Sometimes, we just have to love them enough to leave them at home,” notes Dawn Davies, Executive Director of Wenatchee Valley Humane Society. Per Revised Code of Washington (RCW) 16.52.340, animal control officers and law enforcement officers are authorized to enter a vehicle or enclosed space to remove an animal without liability to any damaged property. It’s important to note this law only covers animal control and law enforcement officers, not the general public, and concerned citizens should call ACC or law enforcement if they see an animal who may be suffering or is in danger. To report an animal in a vehicle who may be suffering, please call ACC at 509-662-9577 opt 1. Wenatchee Valley Animal Care and Control (ACC) is a separate LLC of Wenatchee Valley Humane Society and is a government contracted agency. Its mission is to help protect the safety and well-being of the citizens and animals of our jurisdictions through compassion, education and law enforcement. ACC is contracted to provide services for the Cities of Cashmere, Chelan, East Wenatchee, Entiat, Rock Island, Wenatchee, the Town of Waterville and Chelan & Douglas Counties. Wenatchee Valley Humane Society (WVHS) is hosting a spay/neuter clinic for cats on Saturday March 10 at the Wenatchee Community Center. The clinic is available to low-income feline owners with and includes spay/neuter, rabies and FVRCP (distemper) vaccines. Feral/community cats will be ear-tipped to show they are altered, vaccinated, and belong in the area which they are located. The clinics, offered quarterly, have resulted in over 1,000 altered cats in the valley – both feral/community and domestic. WVHS’s clinic director, Dr. Brad Crauer, will be joined by a volunteer team of animal medical professionals to preform what is expected to be at least 90 spay or neuter surgeries. Volunteers for the medical team include: local veterinarians from Cascade Veterinary Clinic and Village Veterinary Clinic, Dr. Matt Mickas, Clinical Assistant Professor for the Shelter Medicine Program at Washington State University’s College of Veterinary Medicine (WSU), and veterinary technicians from the Animal Hospital of Wenatchee. Spay and neutering is the best way to keep cat populations from quickly turning from a few into thousands of unwanted cats within a few years. This service is sponsored by community donors and the Community Cat Coalition. Appointments are required and must be scheduled in advance. To make a make a tax-deductible donation for the clinic or to register, please contact WVHS at 509-662-9577. WENATCHEE- Beginning this Friday, January 26, 2017, Wenatchee Valley Humane Society (WVHS) will begin hosting a monthly, public animal food bank for those needing public assistance with dog or cat food. The food bank will be held at the shelter, located at 1474 S. Wenatchee Avenue in Wenatchee. Distribution will be in the Education Room (North door by the memorial garden) and will begin at 11 a.m. until available supplies last, or 6 p.m., whichever comes first. The change to the food bank comes on the heels of WVHS’s recent partnership in Hill Nutrition’s Pets Shelter Love ® program. “We’ve always had a food bank for those in need, but this change allows us to better serve the community, while also providing for the animals we serve at the shelter,” explains Dawn Davies, WVHS Executive Director. Food donations to the shelter are still encouraged, notes Davies, and donations can be dropped off at the shelter during normal business hours. In the past, qualified recipients were given free food once a year but now, income qualified pet owners can receive pet food on a more regular basis as needed. To receive foot, pet owners must be income qualified, which means they need to bring ID and income verification (pay stub, SNAP benefits or Social Security paperwork, or a Medicaid/Medicare card). The food bank will be held on the last Friday of each month on a first come, first serve basis. No reservations will be taken. Food will be limited to one distribution per household. For more information about the animal food bank or how to donate, please visit https://www.wenatcheehumane.org/ or call 509-662-9577. WENATCHEE- On the afternoon of November 22, 2017, Animal Care and Control received a report of a dog attack. The reporting party stated that a brindle-colored Pit Bull-type of dog attacked her Pomeranian on the corner of S. Mission Street and Antles Street in Wenatchee, between 9:30 and 10:00 p.m. the previous evening. Reporting party states the owner of the Pitbull-type dog was a thin man of average height and ran diagonal towards S. Viewdale St. There were no distinguishing marks on the attacking dog nor was it wearing a collar. Reporting party’s dog sustained serious injuries from the attack. If you have any possible information identifying this Pit Bull-type dog or its owner, please contact Animal Care & Control at 509-662-9577, option 1.